DESCRIPTION -- Early wooden naval wall plaque of the vessel Fort Austin with the size of the item being 7ÃƒÂ¢Ã¢â€šÂ¬Ã‚Â³ (18cm) x 5ÃƒÂ¢Ã¢â€šÂ¬Ã‚Â³ (14cm) and it is in a fantastic condition (click on the picture for a closer view). HISTORY -- Fort Austin was laid down at Scott Lithgow in 1975, launched in 1978 and commissioned in 1979. 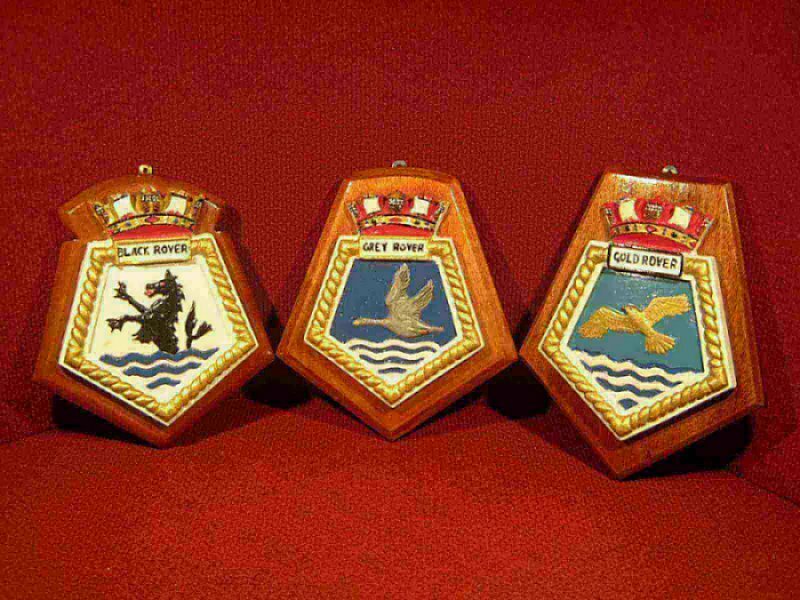 These ships were designed to carry a wide range of dry stores to support fleet taskforces; ammunition, food, explosives. They have extensive aviation facilities, with two flight decks, one to the stern and one spot on top of the hangar, up to four Sea Kings can be stored in the large hangar. These ships also have the capability to replenish ships at sea, via six RAS points. DESCRIPTION -- Wooden wall plaque from the USA vessel The USS Detroit and the size of the item is 6" (15cm) x 5" (13cm) and it is in a very good condition (click on the picture for a closer view of the item). DESCRIPTION -- Rare ship's plaque from the old British India Steam Navigation Company vessel The Uganda which was taken from on board the vessel many years ago. Originally it was a gift to the old liner from The Rochester Grammer School For Girls. This is a scarce item to find and a collector's piece from this famous old vessel and it is in a good condition all round and the size is 6" x 7" (15cm x 18cm). HISTORY -- SS Uganda was a passenger liner, then cruise ship, hospital ship and troop ship between 1952 and 1986. Initially Uganda operated as a passenger/cargo liner of the British-India Steam Navigation Company (BI), between London and East Africa, calling at Gibraltar, Naples, Port Said, Aden, Mombasa, Dar-es-Salaam and Tanga, between 1952 and 1967. 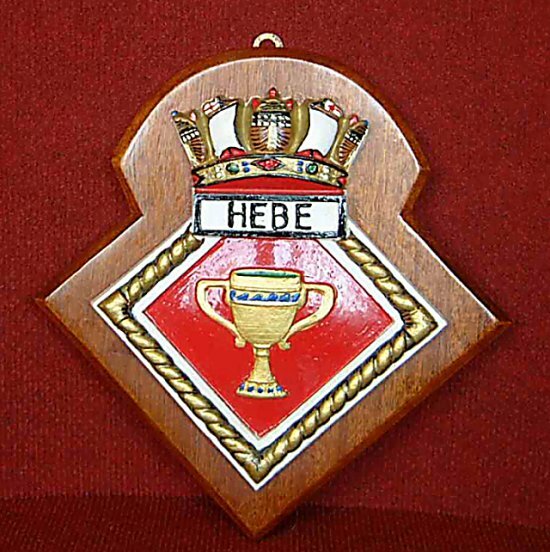 DESCRIPTION -- Superb quality ships plaque, which is in full colour, and is from the vessel The Hebe, a Corvette Class Naval Ship built in 1936. It is taken from the officer's saloon and the size of the plaque is approx. 11" x 11" (28cm x 28cm) at its widest points and the piece is in a very good condition and would make a nice display item. 1) 'Black Rover' - The Sea Horse. 2) 'Grey Rover' - The Flying Goose. 3) 'Gold Rover' - The Golden Eagle. They are all in a superb condition and they are dated circa 1950's with the size of each piece being approx. 4" x 6" (10cm x 15cm).